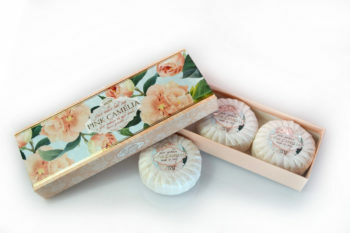 Oval Soap 300g, printed in an elegant Silver box protected by a biodegradable film made from cellulose, eco-friendly. 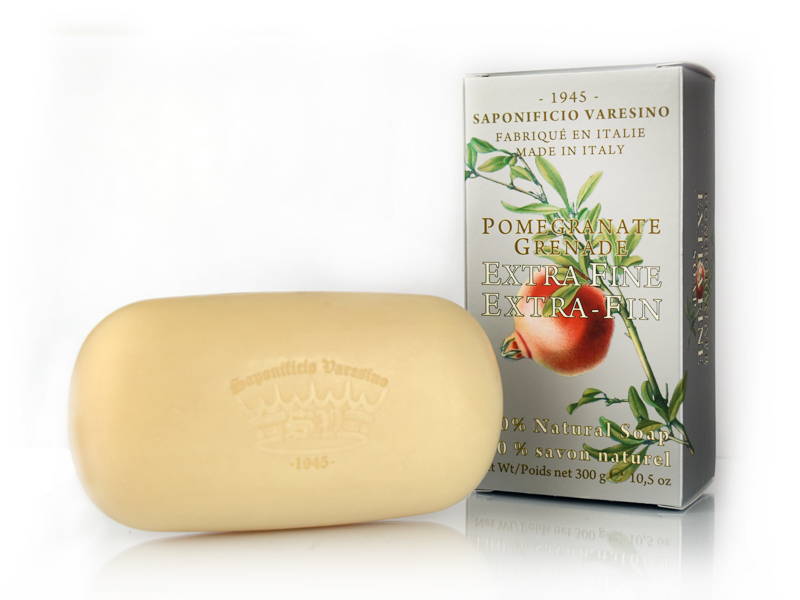 The fragrance of pomegranate is in agreement with a hint of vanilla. 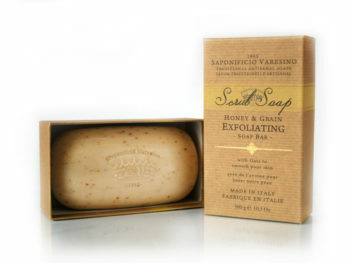 All of our soaps are born from the saponification by boiling in the boiler, according to the ancient and natural method of Marseille, ensuring that the final product is top quality with high capacity cleaning and at the same time a great delicacy on the skin, giving it softness and elasticity. 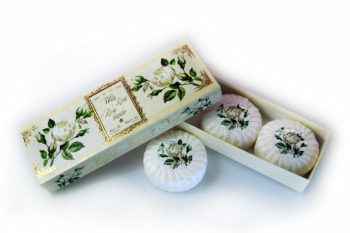 Produced and packaged at our factory in Brebbia and Econat certificate, obtained with only natural products. It contains no preservatives and chelating chemical origin. Be the first to review “Pomegranate Soap 300g” Click here to cancel reply.